Borders is leaving to become the first president and CEO of Time's Up -- an organization that insists on safe, fair and dignified work for women. 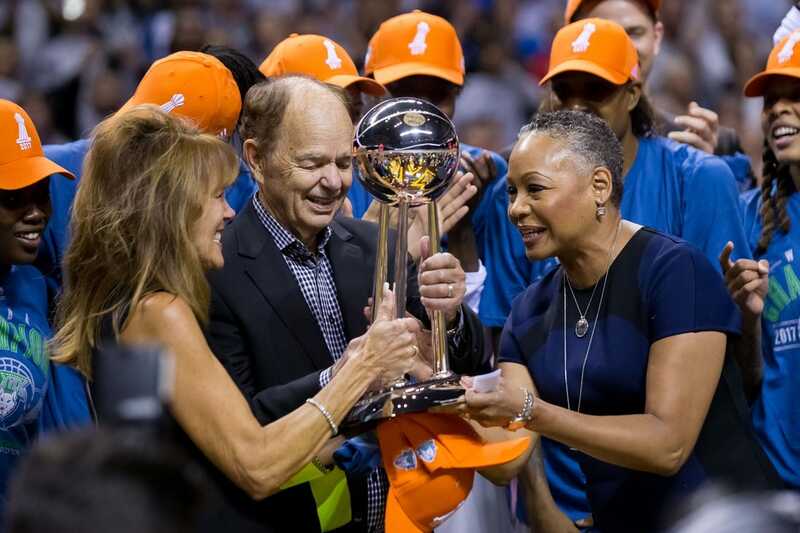 "We are extremely grateful for Lisa's leadership and tireless commitment to the WNBA," NBA commissioner Adam Silver said in a statement. "This is a natural transition for Lisa knowing what a champion she is for issues involving women's empowerment and social justice and fortunately for us, she leaves the league with strong tail winds propelling it forward." "It has been an honor and my absolute privilege leading the WNBA and being part of what it stands for," Borders stated. "I want to thank Adam for giving me the opportunity and support to help grow this league. I am most proud of the W players for their amazing talents on the court and their dedication to making an impact in their communities. I look forward to continuing my support for the W in my new role with Time's Up. I will always be the W's biggest advocate and fan."